In other words, Sigils of Elohim is a demo game that gives us something to play with while we wait for The Talos Principle. Sigils of Elohim (SoE) is a puzzle game in which we are shown a series of puzzles and we are timed on how long it takes us to complete each puzzle. The time it takes for us to finish a puzzle acts as a score of sorts. 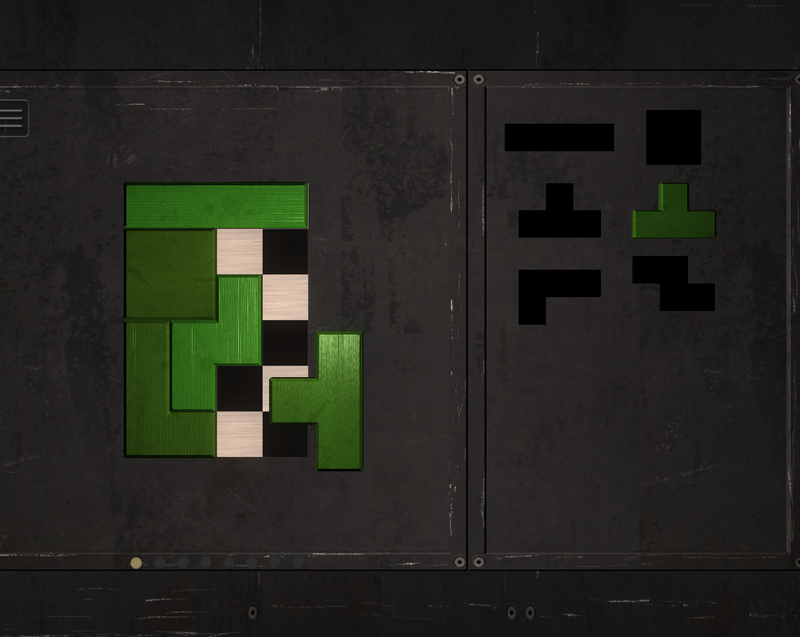 The puzzles, as it turns out, bear a very strong resemblance to Tetris. With each puzzle we are given a grid which needs to be filled with blocks. We are also given odd-shaped blocks (each block covering four sections of the grid). We pick up the blocks, rotate them and snap them into place on the grid in order to fill the area. Basically it’s Tetris where you can take your time and place the blocks in the order you choose. The difficulty of each puzzle varies a bit. Some puzzles I solved in under twenty seconds, others took me several minutes. There didn’t appear to be a difficulty curve so much as a difficulty jagged line. However, for people like me who like puzzles and who like Tetris, this mini-game was fun. I liked going back and challenging myself to improve my score, or challenging other people to top my best times. There isn’t a lot more to say about this game. It’s quite simple, it’s straight forward and it has a classic vibe to it. Oh yeah, and it’s free to play.